I have had a very slow day...or maybe I should say I am very slow today. I cannot seem to get awake. Why do I do that? It may be that I am bored or it could be that I am just tired. I am hoping it is the latter because it is my belief that boredom is only for people too lazy to think about something to do and then get up and do it. That is where you find me right now...doing something! Tumblr is beginning to interest me more and more so I decided that I would give it a try. It gives me a chance to post pictures with a little "flash" writing on a page of my own design. Today I set up my page and gave it a name I think is perfect. It all began when a search was made for the synonym for record. One of the phrases Google gave me was "converting an event for future viewing". 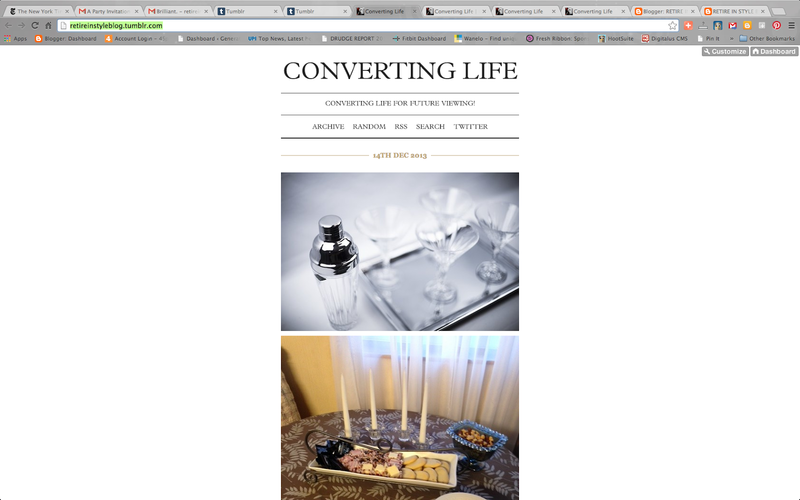 I liked that so I decided to call the page Converting Life. It should be fun to keep a log of pictures taken each day as I record/convert life for another day.